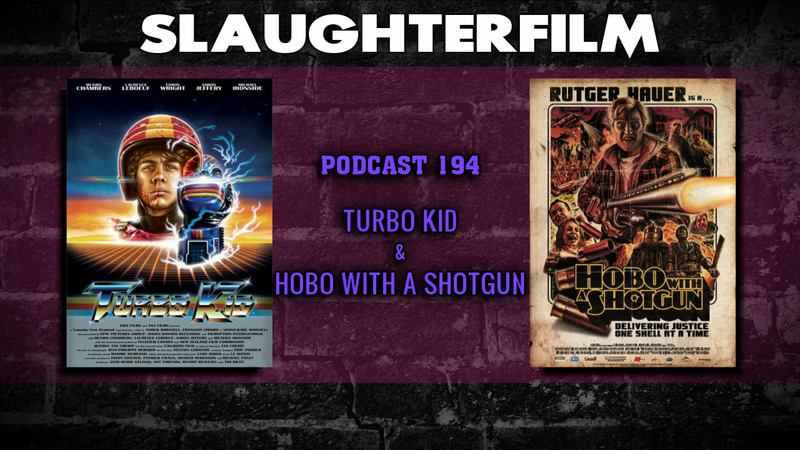 This week the Horror Duo take on a pair of grindhouse-esque, nostalgic '80s throwback films. Forest explains why everyone should check out this years Turbo Kid. Cory deviates from the futuristic and dives down into the depths of hobo live with Hobo with a Shotgun. They also discuss the emerging "sassy black lady" sub-genre of film & why the all female Ghostbusters may or may not be a stinker. All this and Forest realizes that he shouldn't care so much what the terrible, filthy, internet has to say. For more Slaughter Film news and reviews, as well as show notes and special events, make sure to visit our website; SlaughterFilm.com.